Some sources suggest the expression may have originated from the verb “to fire,” as in “to discharge a gun.” However, legend has it that the phrase originated in the 1910s at the National Cash Register (NCR) Company. NCR founder John Henry Patterson (1844—1922) is widely recognized as the pioneer of sales management and for developing formal methods for training and assessing salespersons. In spite of all his genius, Patterson was quirky. He sought total control of his surroundings, imposing his personal values on employees. As a food and fitness fanatic, he had employees weighed every six months. He often dismissed employees for trivial reasons just to deflate their self-confidence and, soon after, rehire them back. Watson Sr. still believed in the potential for electric cash registers. He joined a smaller competitor, Computing-Tabulating-Recording Company (CTR,) which soon grew into International Business Machines (IBM.) Watson Sr. led IBM for forty years and turned it into the world’s leading technology company. Source/Source: Keynote address by Mark Hurd, then-president and COO of Teradata at Kellogg School of Management’s Digital Frontier Conference on 17- and 18-Jan-2003. Teradata was previously a division of NCR Corporation, the company Patterson founded. In the last paragraph there is mentioned a man called Peterson. Unless there is another man (which should be clarified and introduced if that is the case) this is a typo of Patterson. The person who edits these needs to pay a bit more attention as this is such a short story. It is hard to take the information in it as accurate when it wasn’t checked for errors prior to submission. Sally, thanks for your notification. Typo corrected. My research suggests that it was NCR founder John Patterson who initiated this phrase. I added my principal source: a keynote speech by Mark Hurd, the then-executive of NCR / Teradata in Jan-2003. Both Ford and Patterson accumulated the idea from people before civilization even existed. I heard many years ago that the term FIRED was an act by which an employer burned the employee’s house down because of some trivial way of revenge or to get even. I relate the word FIRED as being terminated due to disciplinary action. You cannot be FIRED from an employer if you are not employed by that employer. You cannot be FIRED if your employment is terminated because the business is disbanding. You cannot be fired because of poor business practices due to budget cutbacks. You cannot be FIRED because of the lack of business. Yet we use, or miss-use the term FIRED so freely because it is so dramatic without the responsibility of telling the truth. Most employers have lied on the reasons of termination of employment simply to cover their own shortcomings and blame the employee. However many of these businesses try to avoid this practice due to wrongful termination law suits. The fact is your employment was terminated, probably not your fault at all, and you should stand up for yourself if anyone refers your termination as being FIRED when it had nothing to do with disciplinary action. Doing damage to the property or dipping your hand into the pot without deserving compensation, stealing, etc. may deserve the act of being FIRED. I don’t think Donald Trump made it “more famous” lol…. In that case McFly made it famous in BTTF part 2! 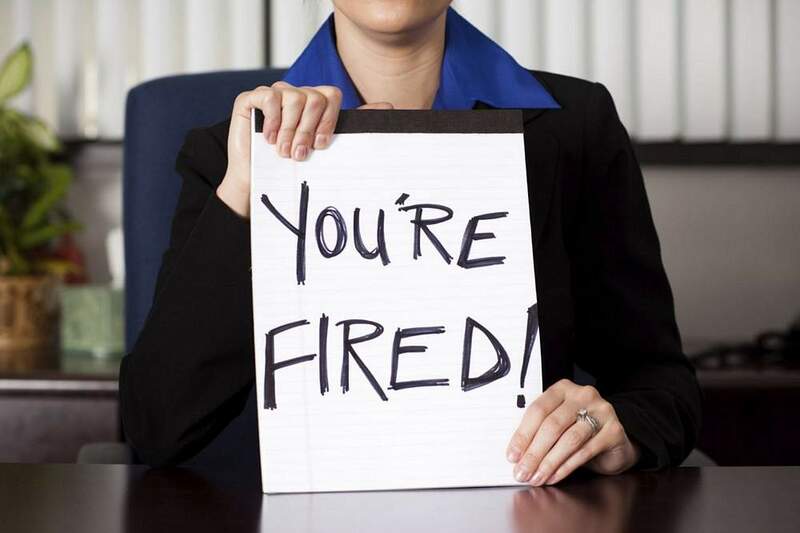 “Fired” has an English root and relates to the practice of dismissing employees in 18th century England. The tradesmen carried their tools in sacks, and if they were dismissed for being lazy/incompetent/troublesome they were “sacked”. If they were dismissed for dishonesty, they were “fired”, which meant their tools were burned to prevent them being employed. Former NCR employee. See Leviticus: Chapter 10 verses 1, 2. Nadab and Abihu were first to be “fired”. 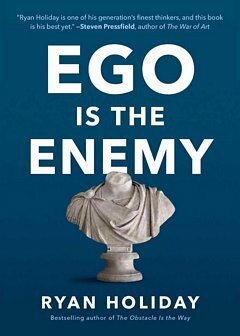 Ryan Holiday describes how a lack of humility can impede a full, successful life. Lessons: be humble and persistent; value discipline and results, not passion and confidence. Be less, do more.